old and clean in military green, our collaboration with Assembly Generals takes its cues from the classic 'El Capitan' caps. This snapback is a perfect fit for soldiers who march bravely through our modern-day urban jungle with style and their own brand of authority. The Assembly Generals know exactly how to empower and unite the masses. Hailing from different genres and backgrounds, they prove that diversity is always something to be celebrated. Their collective energy is infectious on-stage, blasting music through the speakers to gather the troops as the crowd stomps their feet with fists raised high. Comprised of Switchtrik, Deng, Raims and Mon under their label Locked Down Entertainment, the group is a unique blend of raw electronic music and Hip-Hop with sounds and lyrics that awaken the mind and soul. If you're looking for something to fire you up, be sure to stream their self-titled debut album on Spotify, purchase a digital copy on iTunes, or check out their music videos. 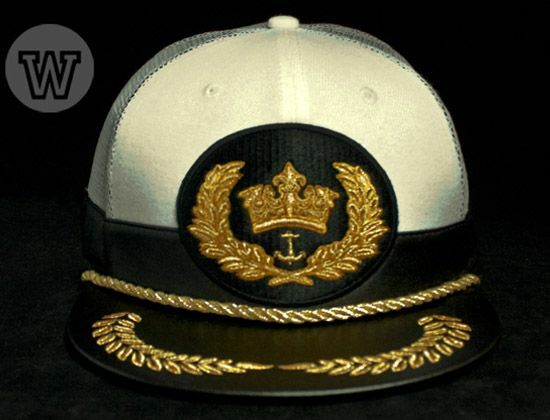 Get your 'Assembly Generals' snapbacks now exclusively at wipcaps.com for P1550 each. "We gather every visionary guided by the truth. Welcome to the general assembly. Salute."